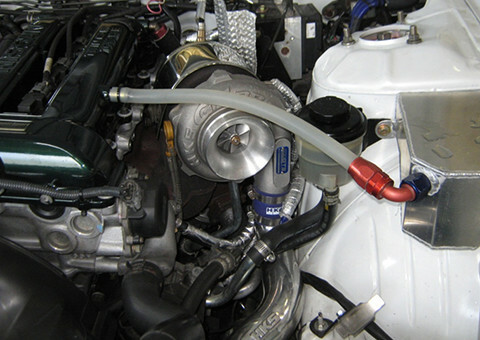 Full Turbine Kit is for high power utilizing wastegate to control the boost pressure. Select a turbo according to the vehicle specifications and purpose of use from HKS original GTII turbine designed according to the engine specifications, GTII Symmetry Turbo which is the ideal for the V-shaped engine layout, and high performance TO4 series. The symmetrical layout twin turbines are utilized for F1 machines. It is the ideal twin turbines layout for the V-shaped and horizontally opposed engine. However, usually a turbo is the right-hand rotation, and left-hand rotation turbines are rarely made; therefore, it was almost impossible to make symmetrical twin turbines. HKS developed and manufactured original symmetrical twin turbines. The symmetrical twin turbines included in GT Full Turbine Kit for R35 GT-R(※), which are highly rated by R35 owners from all over the world. ※For GT900 (GT II 7467 Symmetry), it requires GTII Set Up Kit (14020-AN007) separately. ※For GT1000＋ (GT II 8267 Symmetry) , it requires GTII Set Up Kit (14020-AN008) separately. 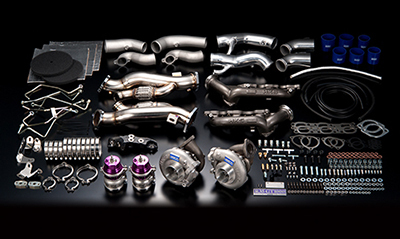 This turbine kit series include HKS original GTII turbine utilizing wastegate to control the boost pressure. 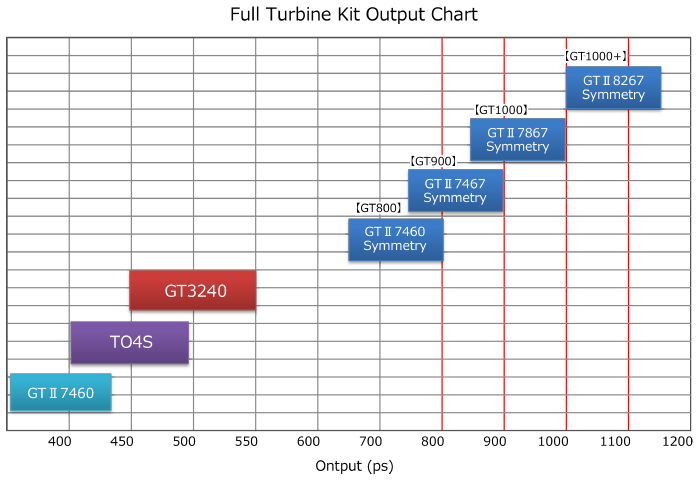 Compared with GT2835, its handling over street driving has been improved, the engine output is equivalent or better, and it is affordable as a turbine kit. 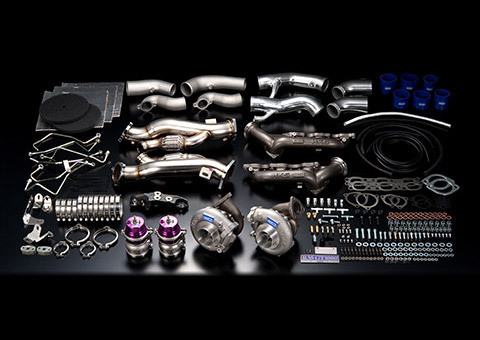 The casting manifold and wastegate from FD3S performance tuning standard HKS Full Turbine Kit are available again.